The Department of Pediatrics has a rich history that began over 150 years ago. We are nationally recognized for the outstanding care we provide our patients and the training of our residents and fellows in pediatrics and all of its specialties. Within our 17 Divisions are more than 200 highly skilled faculty members who are committed to providing exellence in pediatric care, research, and education. 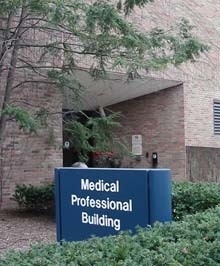 The Office of the Chair, Executive Administration, and Education Offices are located in the Medical Professional Building (MPB) on the third floor. The MPB is attached to the parking structure near Mott’s entrance. The main entrance to MPB is located at the back of the parking structure.